My father grew up in the Bronx, and that meant I was born with a fixed and inalienable love for three things: the Yankees, the American dream, and pizza. 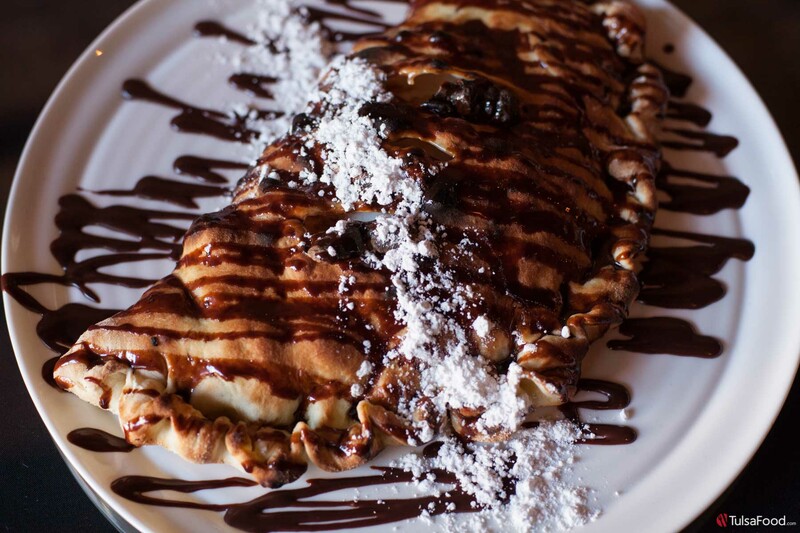 Before I reached my teens, I had feasted on the gooey, charred, slightly misshapen and insanely delicious pies at Da Michele, the best pizzeria in Naples. Before I left my teens, I was a regular diner at the fabled pizzerias on Wooster Street in New Haven. And of course, a native New Yorker myself, I’ve tried all the legendary coal-oven pizzas in the city, from Patsy’s in Harlem all the way through to Totonno’s in the forgotten back end of Brooklyn. 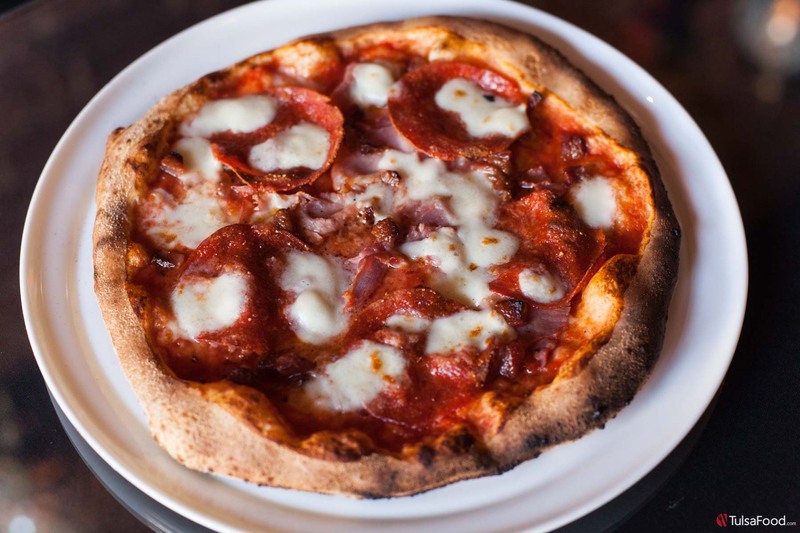 A world-class pizza, hand-crafted and a joy to behold, is a rarity even in New York. New York has innumerable pizza shops, but fewer then ten are worth the notice of a true pizza aficionado. And true aficionados are picky. They argue as much as barbecue experts and pitmasters across the country. What kind of oven? What kind of flour for the crust? What kind of char? But we all know a perfect pizza when we see and taste it. And I would have snickered, guffawed, and then fallen off my chair in unhinged laughter, if you’d told me last month that I’d find one in Tulsa. But now I have. The perfect pizza evolved over centuries of trial and error, patience and love. The gent who founded Totonno’s in New York didn’t invent his pizza. He learned it from spending a decade working with and learning from (some say teaching, too) the guy who founded Lombardi’s in 1905 , New York’s first great pizza shop. He was learning from Gennaro Lombardi, who leveraged all his dreams, talent, and work ethic to take what he had learned in Naples to pursue the American dream. Lombardi is an American legend because of the tradition passed from father to son, which is why it is unexpected to find this quality and style in Tulsa. 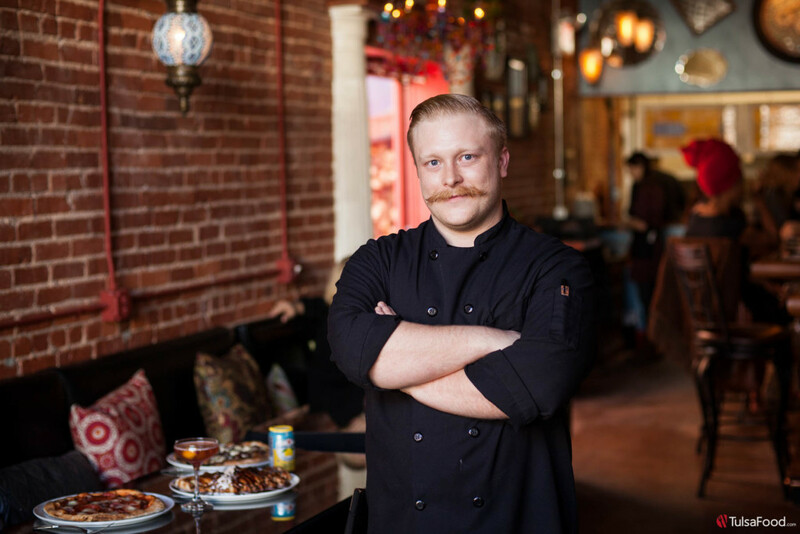 Jeremy New, who is the proud Executive Chef of Bohemian, didn’t grow up in an apartment above a Brooklyn pizza shop. He grew up in a Tulsa fine dining kitchen. He was raised by his great-grandfather, and that man just happened to be the Executive Chef at the Petroleum Club. “I’ve been in and out of restaurant kitchens since I was five years old,” he told me. Then it was off to culinary school in California. He didn’t focus on pizza then, but rather concentrated on the fine dining he grew up with. 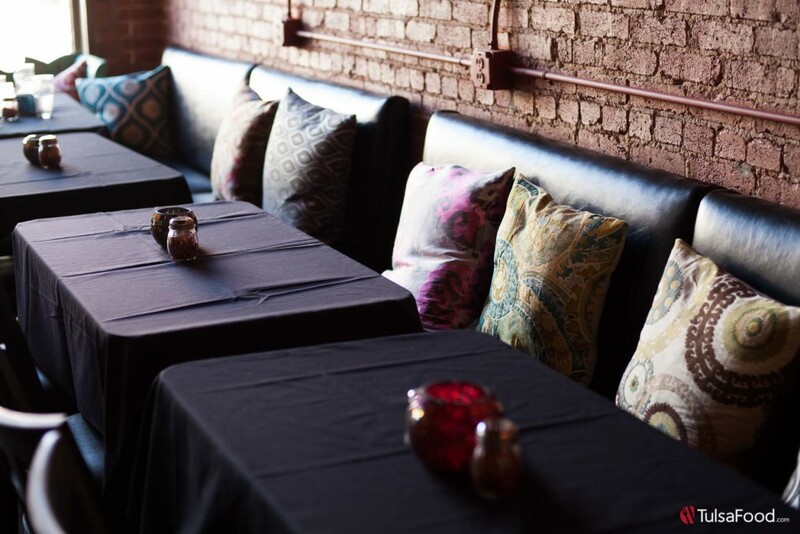 He first wowed me at SMOKE on Cherry Street when he created some of the most fabulous dishes I’ve ever tasted. One day he delighted me with grilled grouper with kale, cherry tomatoes, and rich, sauteed morels in a wonderful smoke-infused broth. Another evening, for one night only, he tempted me with the world’s most sinful steak, a 12 oz Prime NY Strip with a crust of premium cigar tobacco and ground coffee topped with foie gras and butter. 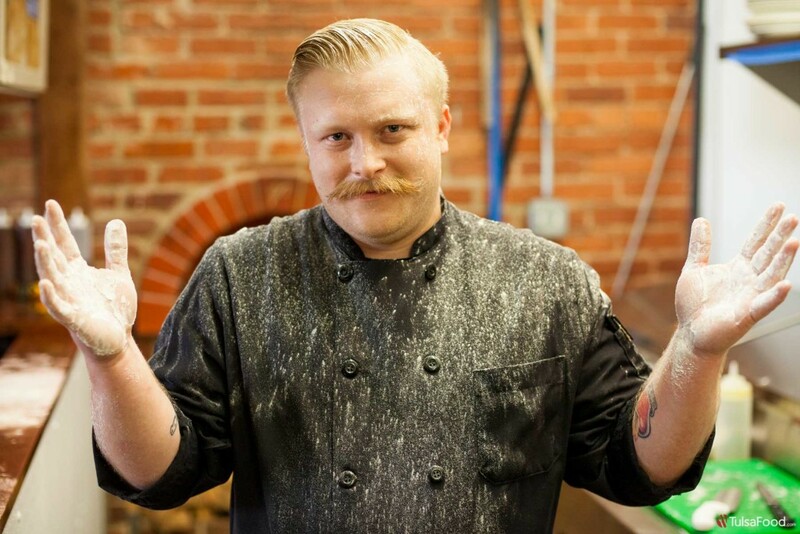 Making pizza is an entirely different animal, and Jeremy had never done it before. Now he is tackling one of the world’s most challenging and controversial culinary accomplishments: the perfect pizza. The wood fired oven is a harsh mistress. There it sits, dug into the brick wall, as complex, moody and intractable as a mule. It’s high maintenance. Early each morning, Jeremy must light a fire in the middle of the oven to burn off the creosotes accumulated from the previous night. Then he shifts the wood to the left of the oven and lets it heat. 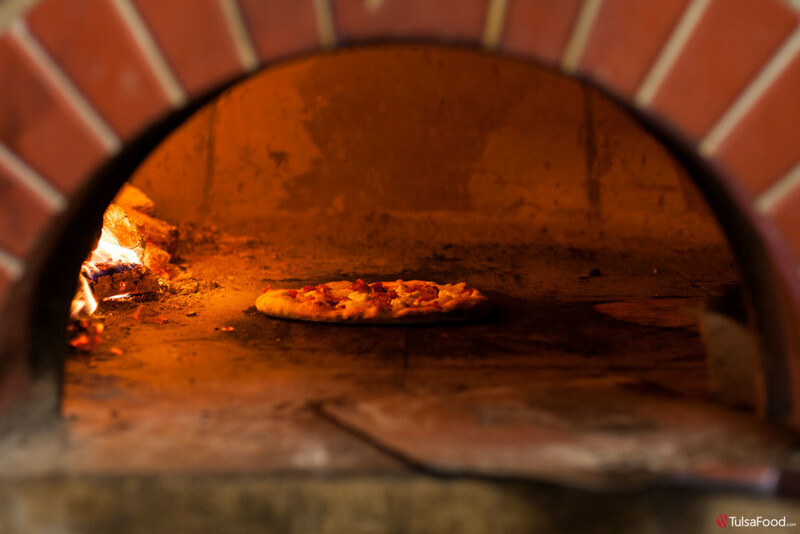 The wood-burning oven is what they use in Naples. The immigrants who set up Lombardi’s and the rest found wood scarce in the cities of east coast America, so they used coal. But Jeremy opted to return to the traditional wood. The oven is custom designed by Mugnaini, a family that’s legendary in the business. It reaches a heat of 900 degrees, and it’s temperamental. “When I make the pizza,” Jeremy explains, “I start it next to the fire, the hottest part. Then it goes to the back — the second hottest — then to the side. Now at any given time, only one third of the pizza is facing that fire on the left, so at each of these four spots I have to rotate the pizza one third of the way, let it sit, rotate it again and so on. Then I lift it to the top of the oven to brown the cheese, and out it comes.” Watching him work is like watching a very frantic ballet dancer. When you first arrive in The East Village it seems to be a lovely little ‘forgotten’ block of two story tenements a lot like the ones on Elizabeth Street in Little Italy that they used to film the outdoor feast in Godfather III. We park around the corner, walk back and enter one of those little brick houses. It was built in the 1920s, the owner tells me. 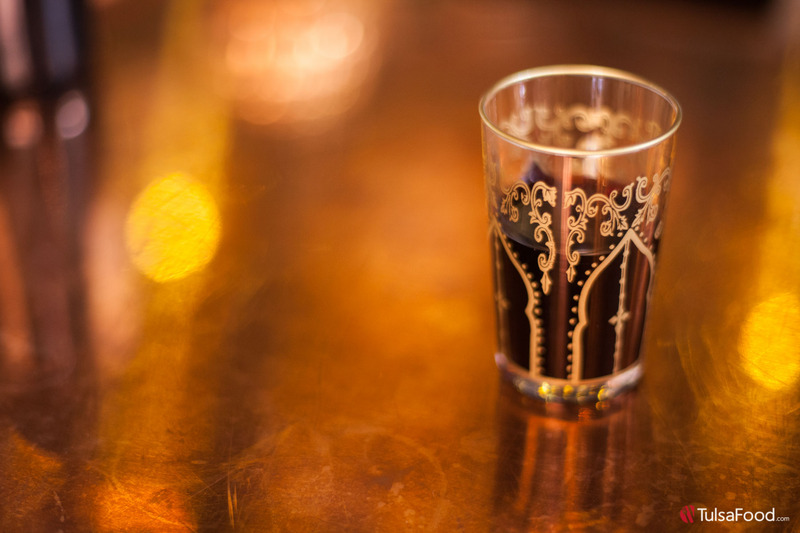 Inside, the space is long and very narrow, exactly like most of the bars and eateries in New York’s East Village, the restaurant’s namesake. 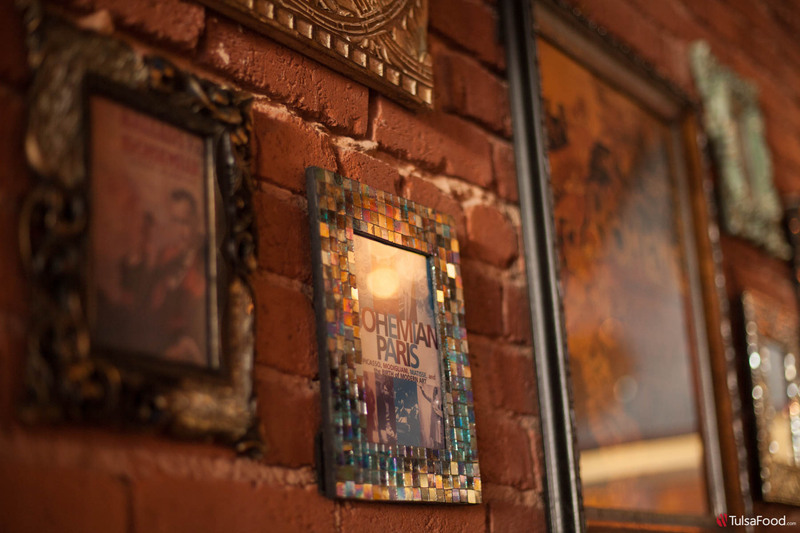 “You’re right,” Jeremy tells me, “we’re going for that East Village feel.” The decor is very, well, bohemian, with paisley pillows, strange murals, hanging beads and chandeliers and what looks like one of those hundred year-old, wood-backed New York neighborhood bars. There’s an outdoor patio too, which will be buzzing come this Spring. And in the back, the oven. On my second visit I sat down to talk with Jeremy about secrets behind his creations. First, the dough. 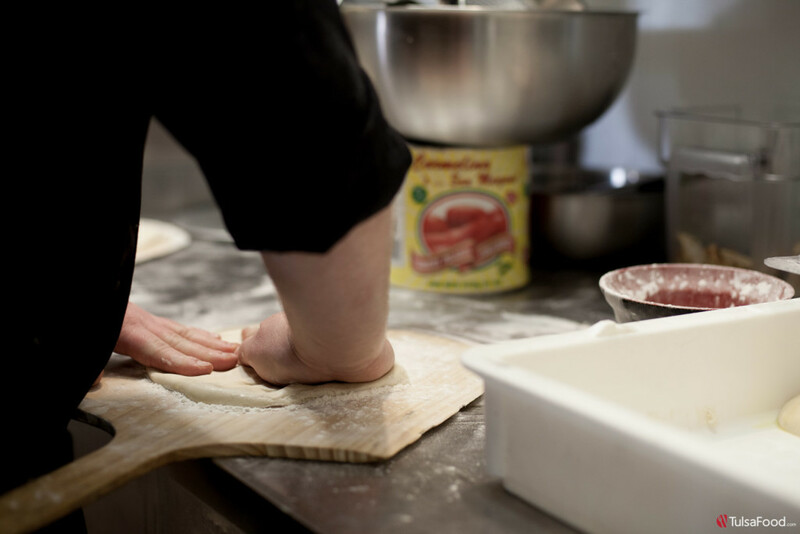 Jeremy makes the dough fresh every day, and when the dough runs out the kitchen closes. I’ve heard of only one pizzeria that does that: New York’s legendary Totonno’s. Actually, Jeremy makes each day’s batch the night before. It’s not too crisp though, and when you stick your finger under the finished pizza, the pizza drapes around it like a piece of fabric. That’s exactly how they make it at Da Michele, and indeed Jeremy’s finished product is more like what you find in Naples than what you’ll get in Brooklyn. 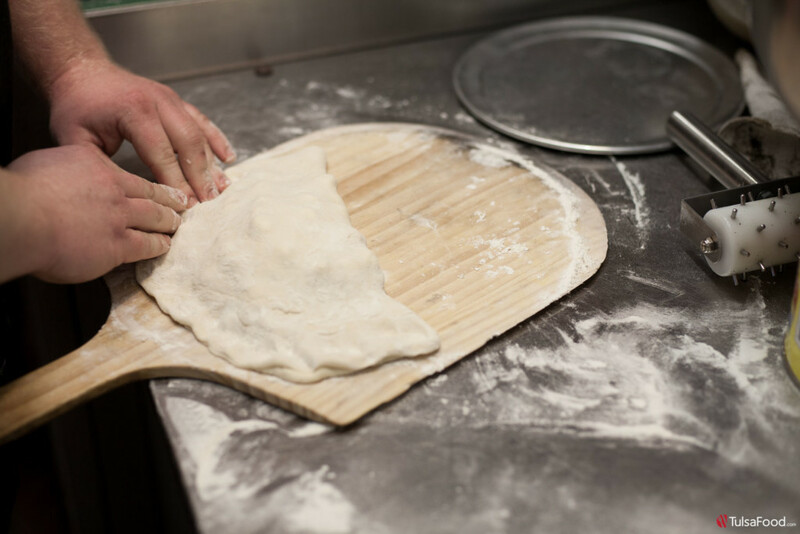 The dough is made of flour from Italy, which pizza fans consider the finest. Grade 00 is quite literally the finest — the most finely ground, and if you’re up on math and science, you can investigate just why that kind of dough makes for the best connections between the protein, and yields the optimum bubbles for the foam. I’ll just leave that to the experts. Just about everything Jeremy uses, he tells me, is either local from Oklahoma or imported from Italy. What about the sauce? Most places use complicated secret blends, but Jeremy keeps it simple. He just takes San Marzano tomatoes grown near Naples and crushes them by hand. That’s the sauce. After he spreads that on the dough — and that step comes only after he takes a ball of dough and carefully shapes it into a very thin flat circle with a slightly raised edge — he sprinkles on some imported Extra Virgin olive oil and a dash of Mediterranean sea salt and cracked pepper to give the sauce some flavor. Then he puts on fresh cherry tomatoes marinated in spices and garlic (and cut in half). That’s his own innovation, those fresh tomatoes. Oh, there’s also cheese. It’s imported from Naples, mozzarella made from buffalo milk. I ask to taste a bit. That’s one of my fine Naples memories, eating mozzarella freshly made from rich, smoky milk from a water buffalo. It’s surprisingly moist and creamy here but the smoky flavor is gone. Still, you’d have to go to Naples to find better. A few fresh basil leaves, each drizzled with olive oil, are artfully arranged on top, and then the pizza is ready for its dance in the oven. And oh my God, it is glorious! It’s a thing of beauty and everyone should have one of these Pizza Margheritas at least once in their lives. 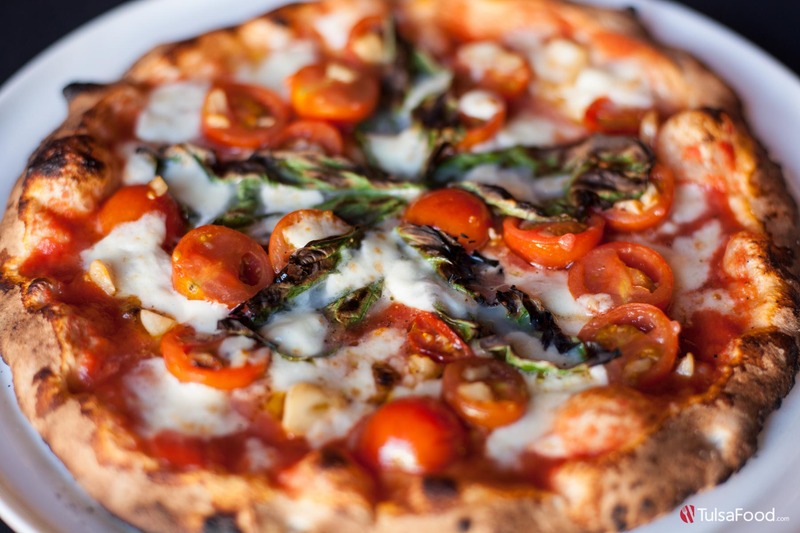 Yes, the pizza I’ve been describing in this review is the “Margherita Bohemian” ($12.50). The Pizza Margherita is the archetypal Neapolitan pizza, nothing but crust, tomato sauce and cheese with a bit of basil. 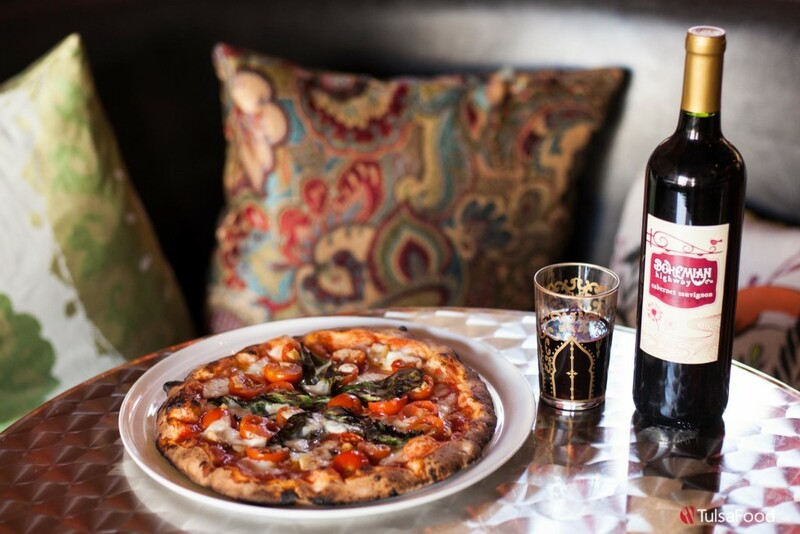 Of all the pizzas at Bohemian, this is the closest to traditional. 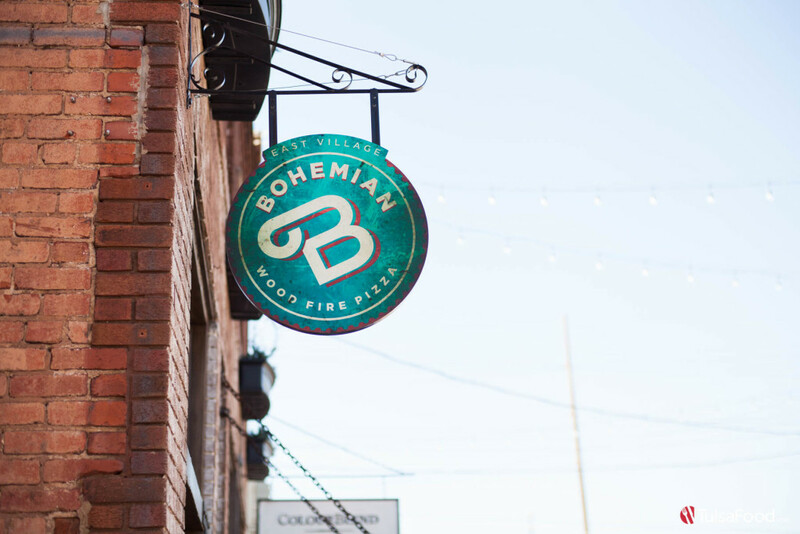 When you go to Bohemian, don’t even think of leaving before you try that Margherita. It is the Margherita that, in my opinion, makes Bohemian a world-class pizzeria. Jeremy, though, is even more proud of his other pizzas. That’s because those other pizzas are all his inventions. (Pizza Margherita, by contrast, was invented sometime before 1890.) “We’re not slaves to tradition,” says Jeremy. 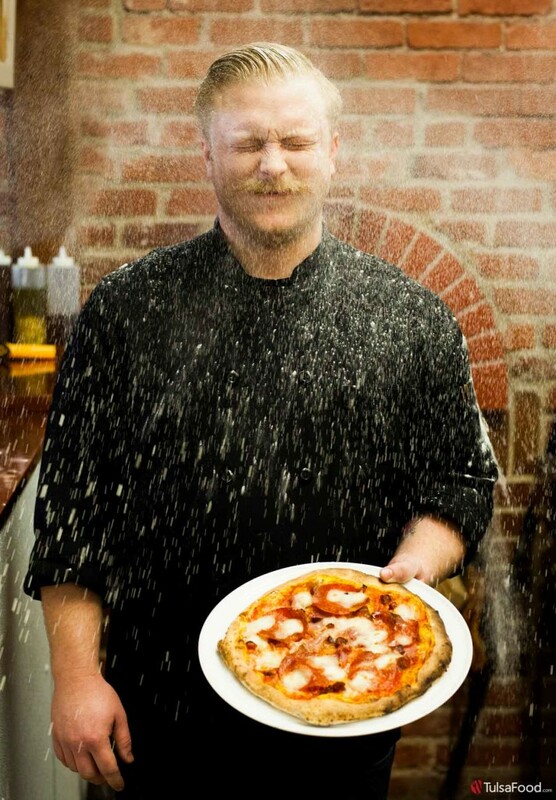 “We want to have chef-driven pizza. We’re putting a Bohemian twist on things, and that’s why you’ll get toppings like asparagus or baked potato or over easy eggs. 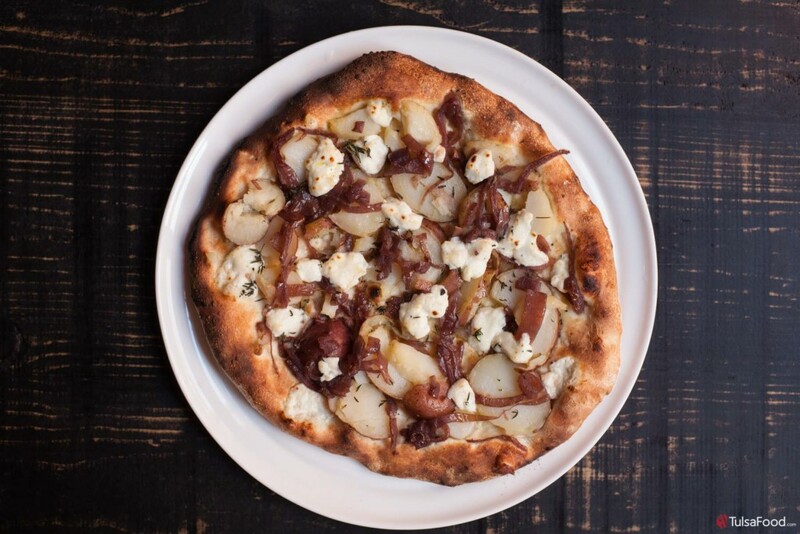 Have you ever had a potato pizza?” And so we do. It’s made from roasted red potatoes, caramelized onion, sea salt, and goat cheese. No sauce, no tomato. And yes, I love it. On my first visit we had the pizza he calls the Tre P ($13.50). The three Ps are pancetta, prosciutto and pepperoni. Yes, it’s a meaty pizza, and there’s tomato sauce and mozzarella too. It’s rich, salty, delicious. If you like a traditional pizza with quality meat toppings, this one’s for you. And we end our meal with a huge S’Mores Calzone ($9), big enough for two and stuffed with imported dark chocolate and house-made marshmallow. But please whatever you do, order the Margherita. That’s the pizza you’ll remember for the rest of your life. Born in NYC, age 0, on my birthday. College in Oxford at age 16. Law School in New Haven, Conn. 6 years travel in Africa and Asia. Haven’t done much lately. Still, I’m the only Tulsa member of the little-known Omega Society. www.theomegasociety.com I speak enough Chinese to order food not on any English menu. Spanish French Italian too (not fluently but food-ently) My favorite restaurant is Jean-Georges in New York. But those NYC chefs would sell their soul to get the produce available from the farms around Inola. “A writer writes alone. His words tumble forth from a magical inner void that is mysterious even to himself, and that no one else can enter.” And yet, the most important thing to me the writer is YOU. Without you to hear them, my words are worth less than silence.